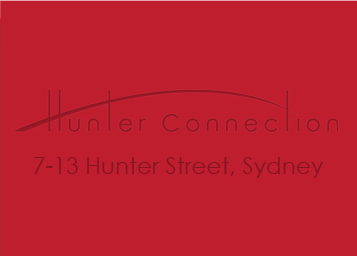 Hunter Connection connects you with the very best that Sydney’s CBD has to offer! Take the time to explore inside Hunter Connection and you’ll find a mouth-watering selection of food choices to eat-in or takeaway. You’ll also find a fantastic range of specialty shops to cater for those everyday needs including fashion stores, massage therapists, hair and beauty salons, watchmakers and more…. Wander outside Hunter Connection and you’ll quickly discover it’s just a short walk to spectacular Circular Quay, bustling Wynyard Train Station, convenient major bus routes, fine dining and a breathtaking array of stores including exclusive brand names. It’s safe to say, no matter what you’re ‘hunting’, if you don’t find it inside Hunter Connection, you’ll find it outside and close by. 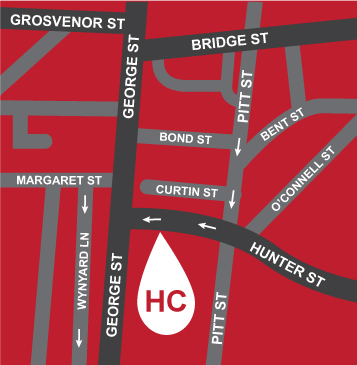 Hunter Connection is so easy to get to by public transport or walk-through from George, Pitt or Hunter Streets. We invite you to browse our website and connect with well over 50 businesses. Hunting for the latest fashions and accessories? …Connect at Hunter Connection. Hunting for somewhere to relax with a coffee and watch the world go by? …Connect at Hunter Connection. Hunting for your hard-to-find favourite cigarettes or a place to get a quick hair cut? …Connect at Hunter Connection. Hunting for someplace new to lunch with a vast array of delicious choices? …Connect at Hunter Connection. Connect with all this and much more at Hunter Connection.